AUTOCHECK REPORTS ZERO ACCIDENTS, 1 OWNER -- RUNNING BOARDS, TOW PACKAGE, SLIDING REAR WINDOW, POLISHED ALUMINUM WHEELS, BACKUP CAMERA, FORD SYNC AUDIO, MORE! 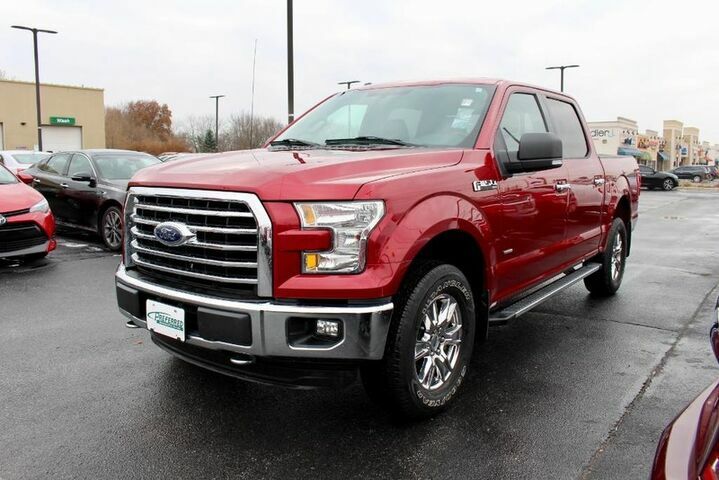 This 2015 Ford F-150 XLT is offered to you for sale by Preferred Auto Illinois Road. Quality and prestige abound with this Ford F-150. Where do you want to go today? With 4WD, you can choose to drive virtually anywhere and on terrain 2WD vehicles can't handle. Strengths of this model include turbocharged engines, available in a huge variety of trims, Towing capacity, rugged durability, and improved gas mileage.